Bryan Cuddihee completed the Grid on December 17, 2012 on the summit of Mt. Moriah accompanied by friends Mark Tuckerman and Cynthia Ladew Walthour. The ascent was made via Stony Brook and Carter-Moriah Trails. Bryan climbed his first official 4000 ft. peak on a hike to Mt. Jefferson in June 2003. 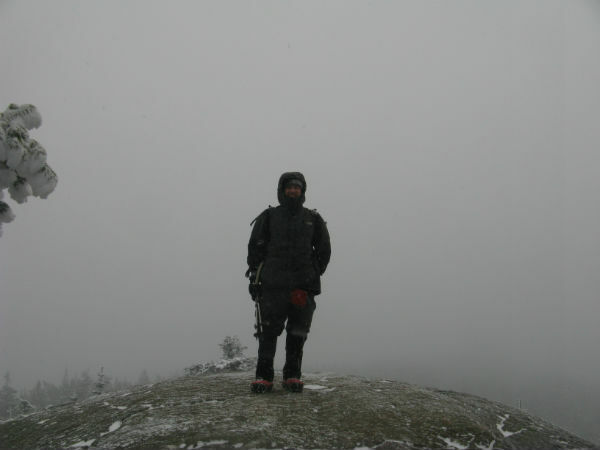 He hiked regularly over the years working on the New England peaks, the 48 in winter and the ADK46. He also did a stint as a backcountry hut caretaker for the AMC in 2005 and began volunteering as a trail adopter for the Forest Service in 2008. The concept of the Grid eluded him until 2009 and after an injury in November of that year he made one of his recovery goals to get back out and work on his 48x12.